Legs of the Saxon Shield pigeon are low positioned with muff feathers. 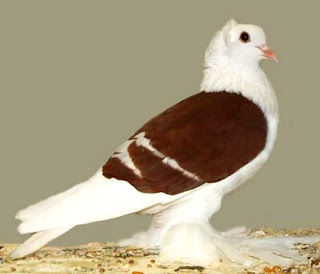 The muff feathers are long and well curved. The bird actually comes in many colors including blue, black, red and yellow.